Compare restaurant meal delivery services Deliveroo, Eat Now, Menulog and UberEATS on their website navigation, customer service, variety of meals, delivery reliability, value for money and overall customer satisfaction. 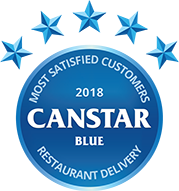 Canstar Blue’s latest review of restaurant meal delivery services has seen Menulog and UberEATS rated highest overall. Both scored five stars for website navigation, variety of meals and delivery reliability. 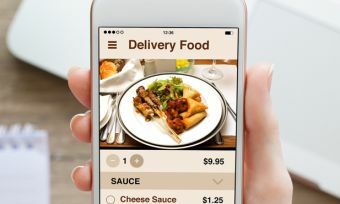 Menulog and UberEATS lead the way from Eat Now and Deliveroo. We’ve all had one of those nights where we’re too tired, too busy, or having too much fun to bother cooking or even going out to a restaurant to get some food. It used to be the case that you’d have a choice of going out to pick up takeaway food, or having pizza delivered. Few restaurants apart from takeaway pizza outlets had the resources to offer home delivery. But online restaurant meal delivery services have changed everything. In just a short time, food delivery services have sprung up in multitudes across urban areas, offering not only the delivery service itself, but smart platforms (via websites and apps) for consumers to easily look through their options and place orders. Other services focus on making online orders for delivery or pick-up easier and since they don’t need to worry about providing their own delivery staff, these types tend to reach further out into the suburbs. No more digging through the stash of local takeaway menus to find what you want and order it – just scroll through a smartphone app. 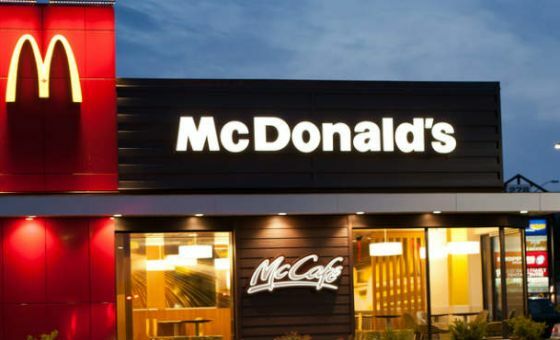 It’s made it so much easier to get your favourite restaurant food without going out. So which of these food delivery services offers the best range of restaurants and meals to choose from, the easiest website to navigate, the most reliable deliveries and overall leaves us feeling nicely satisfied with our ordering experiences? To find out, we’ve surveyed hundreds of households across the country that have recently used these services, asking them to rate the website they most recently used on the factors mentioned, as well as things like customer service and value for money. This year, our top rating for overall customer satisfaction was a tie, with Menulog and UberEATS both earning five-star reviews from happy customers. In fact, both services received the exact same ratings results across the board, scoring top marks in almost all areas, with the exception of customer service and value for money, rating four stars respectively. It was four stars overall for Eat Now, while Deliveroo scored three stars overall. Shopping around in general is a good idea – and 62% of our survey respondents have done just that, having tried more than one restaurant meal delivery service. No food delivery service earned a five star rating on value for money or customer service. That suggests that this relatively new market has plenty of room for improvement. 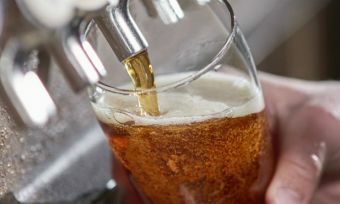 To help you decide which might be best for your evening off, here is a quick guide to the four delivery services in our latest review. You may have seen Menulog’s recent advertising campaign starring Jeff Goldblum and its recent rebrand to a bright green colour. The Australian company was started in 2006 and merged with Eat Now as part of international company Just Eat in 2015. One of the biggest players on the online food orders market, Menulog provides a platform to find and order from local restaurants, for either pick-up or delivery. You can use the Menulog website or app to browse by location, food category, or particular meals, as well as leave reviews of your experiences. Payment can be made by card, PayPal, or cash on delivery or pickup, depending on what the restaurant accepts. Menulog guarantees to offer the best price – if you place an order with Menulog, but then find the same item from the same restaurant for a better price within 24 hours, you can be credited the difference plus $10 for that order. Menulog received five stars for overall satisfaction as well as for delivery reliability/timing, website/app navigation and variety of meals available (range). It received a solid four stars for value for money and customer service. The ride sharing app that swept the globe went on to expand into transporting food as well as people. Browse by region, type of food, or search for a specific restaurant to find all kinds of local restaurants, ready to send their specialties your way. Just as with Uber, UberEATS allows you to track your order and estimated delivery time as the restaurant accepts it, begins preparing your food, and then sends it off for delivery. You’ll see the name and photo of the Uber partner bringing you your food by car, bike or scooter. You can schedule an order in advance, and customise your drop-off point with a choice of curbside collection, door-to-door service, or meeting in the lobby. Drop a pin to help your driver find exactly where you’ll be waiting. An Australian-made service now owned by the same parent company as Menulog, Eat Now hosts a platform for reading and posting your own restaurant reviews, as well as providing a streamlined food delivery service. You can browse by suburb, food category or restaurant chain, with lists including each restaurant’s trading hours, minimum orders for delivery and applicable fee, any deals available as well as its user score. With every order you make through Eat Now, you will score points that are displayed with your profile to show other users how much of a ‘food fan’ you are, and they add weight to your reviews. You can also earn ‘badges’ for food achievements, such as ordering at a particular time of day. Once an order has been placed through the website or app, you’ll receive an SMS confirming your order and providing an expected delivery time. Depending on the restaurant, payment can be made by card, PayPal, and cash on delivery/pickup. Eat Now received a solid four stars for overall satisfaction, delivery reliability/timing and website/app navigation. It earned three stars for value for money, customer service, and variety of meals available (range). This (surprisingly) London-born service is targeted towards foodies who don’t want to leave their home or work to get a really nice meal. Deliveroo covers a wide range of restaurants from high-end to national burger chains of the calibre not normally considered to be ‘takeaway’. Notably, Deliveroo does not offer “low-quality takeaway”. Deliveroo provides its own food packaging and staff – who usually deliver food by bicycle – covering a fairly modest area in our major cities. Just like any other delivery service, you can enter your address into the website or app to find out what’s available in your delivery zone. 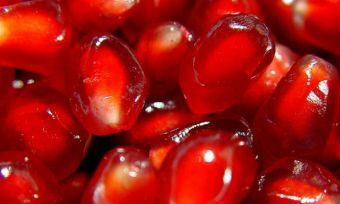 Deliveries are available daily between midday and 11pm. You can also schedule your order up to a day in advance. Deliveroo earned three stars for overall satisfaction, as well as for delivery reliability/timing and value for money. It performed better in other categories, with four stars for customer service, website/app navigation and variety of meals available (range). We’ve picked up four restaurant meal delivery services in our latest review, but they’re not the only ones to choose from in Australia. For example, Foodora uses bicycle couriers to deliver from “only the best restaurants”. Uniquely, Foodora also offers corporate food deliveries with specialised accounts for individual employee budgets and rules, ordering reports and segmentation between departments and locations. Last year’s overall customer satisfaction winner, Delivery Hero, has since been absorbed into the Foodora network. It’s well worth your time to explore the different service providers to see what they can offer you, as each can have different restaurant partnerships and prices. Furthermore, not all restaurant delivery services cover the same area, so your address may well be the deciding factor when choosing which app to use. 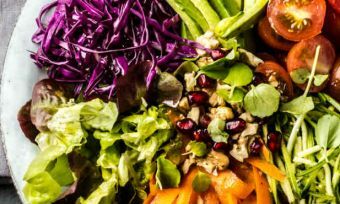 The great thing about restaurant meal delivery services is that you really can sample your options without breaking the bank or making any commitments. If anything, it’s a great excuse for a night in. Canstar Blue surveyed 3,000 Australian adults across a range of categories to measure and track customer satisfaction. Data was collected using Qualtrics’ online sample aggregation from ISO accredited panels. The outcomes reported are the results from customers within the survey group who have used a restaurant meal delivery service in the last 6 months – in this case, 792 people.